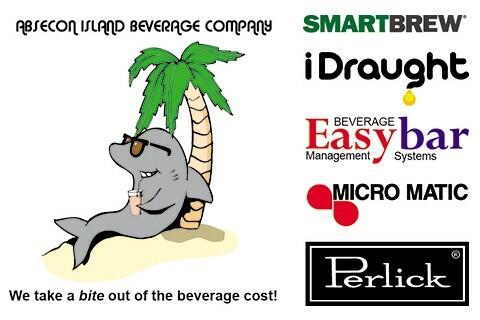 We provide beverage monitoring systems to help you control your beverage cost either with beer system monitoring or Point of Sale interfacing with a liquor dispensing system. Our systems can offer you assistance by protecting your profit margin loss caused by various means such as a foamy beer system or employee theft. We work exclusively with Beverage Management Systems EasyBar Liquor Dispensing Systems and can offer new or used liquor dispensing equipment. We offer service contracts to properly routinely maintain your liquor dispensing system. We are licensed in many states to provide services in gaming operations. We are a premier installation contractor for Vianet iDraught Beer Monitoring Systems offering both installation and calibration services. We work exclusively with Vianet to provide the best installation possible on this remote beer dispensing monitoring system, which once installed can provide you with phone updates on your beer system sales. We offer Remote Beer Systems and Wine on Tap Systems by Micro Matic, and can provide Beer Systems of any size, including Custom Beer Dispensing Towers. We can also design Remote Beer and Wine Dispensing Systems for your project or existing location. Beer gas systems, glass rinsers, glycol chillers, trunk lines, tap markers, keg couplers, water systems are all products we can offer/ We are a Certified installer for Micro Matic. We sell and install Perlick glass washers, their full line of stainless steel under bar equipment, refrigeration equipment and beer dispensing equipment. Custom refrigeration and cask refrigerators can as well be design utilizing Perlick equipment. We are authorized to sell install, and repair all Perlick equipment. We are honored to present SmartBrew, a brewing system which can transform your restaurant into a brew pub. You can produce your own world-class fresh brew on-site with minimal time and labor. With a small foot print, this brewing system can make your location a destination for all the craft beer drinkers! Imagine producing four styles of your own craft beer, with an additional beer dispensing system, your beer can be dispensed right at your bar. With numerous varieties of concentrated high quality worth, the number of beer styles you can create and proprietarily name will keep your customers coming back for more. This revolutionary brewing system is currently winning awards at international beer competitions and can be yours to make award winning beer at your location. We offer unique "Installation Packages" for SmartBrew and take the worry out of it for you. If you would like to see a SmartBew first hand, contact us about doing just that. We also stock a large variety of repair parts for beverage dispensing system repairs and can get your system back working for you again in no time. Whether you are interested in a liquor dispensing system for a casino, or a custom beer dispenser for your brewery, Absecon Island Beverage Company has what you need. From time to time we come across new and innovative products specific to the beverage dispensing segment of the industry, please do not hesitate to contact us for information. We currently service restaurants, bars, taverns, casinos, craft breweries as well as international breweries providing an array of services related to beverage dispensing needs. From design to installation, sales and service- keep us in mind. We serve the tri-state area of southern NJ, eastern PA, north MD and DE, but may be of assistance no matter your location.